Visit Leeds Museums & Galleries this October half term holiday for a fun-filled day out, plus fangtastic family Halloween events at a number of our attractions. We kick off the holiday with our scenic Deli Market at Kirkstall Abbey on 27th and 28th October. It’s the penultimate market of the year so well worth a visit for Yorkshire-made produce and gifts. This weekend also sees the start of our annual Orchard Week at Thwaite Mills Watermill where we’ll be holding apple themed activities throughout the week. Leeds City Museum is taking inspiration from its Beavers to Weavers exhibition with crafty creatures activities from 30th October – 2nd November. Flock to the museum and learn how to build like a beaver, nest like a bird or construct like a termite. Over at Leeds Industrial Museum, we will be showing a mystery matinee every day at our authentic 1920s cinema. Family favourites and classic films will be screened throughout the week at only £9 for a family of five, bargain! We’ve got tricks and treats at a number of our attractions this Halloween, from terrifying trails to spine-tingling storytelling and creepy crafts. Abbey House Museum has a sinister special FX session for teens on 27th October; a professional make-up artist will provide the tools to create truly gruesome Halloween make up and special effects. Little ones can join in with Halloween activities on 30th and 31st October in the seriously spooky Victorian Streets. Lotherton’s Spooky Scarecrow Trail is back and better than ever from 27th October – 4th November, now with extended opening times for eerie evening visits with older children. Spot the scarecrows around the estate, visit the brand new Skeletown to see the scary side of the Wild West and take part in chilling craft activities. You can scare yourselves silly at Temple Newsam this year, visit the darkened haunted house and fiendish farm animals. We’ll be telling tales of petrifying past residents and there will be spooky crafts, plus terrifying treats to collect along the way. We’ll be ‘Putting the Happy in Halloween’ from 30th October – 1st November at Leeds Industrial Museum as we discover the real stories behind Halloween. The 21st-century witches from the Leodis Pagan Circle will join us and we’ll have jack-o’-lantern and willow wand making sessions each day. 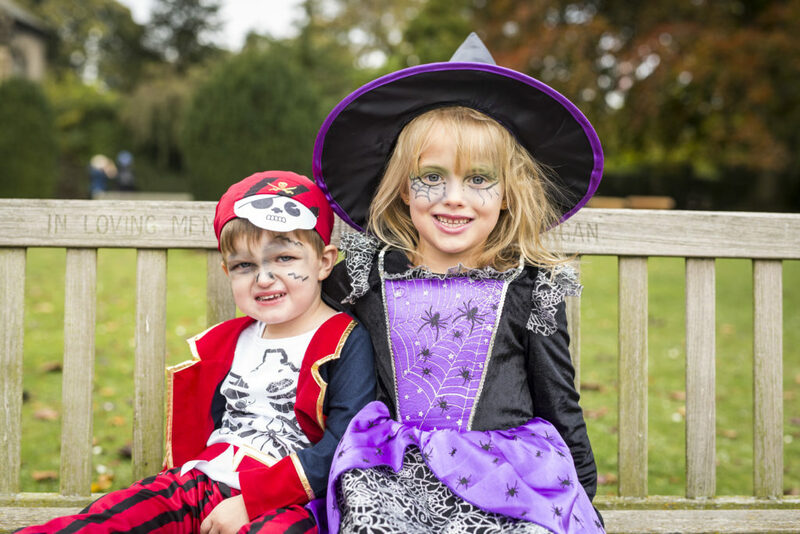 Kirkstall Abbey will hosting a ‘not so scary’ scarecrow trail between 30th October – 4th November around the abbey ruins and play a game of spooky hide and seek with the little ones. Over at Leeds Discovery Centre, we will be holding Spooky Tours of our spine-chilling museum store under the cover of darkness, so bring along your battery powered candles on 31st October to see some of our most gruesome objects!